Hijab e-stores in Malaysia currently have the highest number of followers on Instagram, compared to other e-commerce giants like Lazada, Shopee & 11Street. This is a throwback from the rise of Instashops in Malaysia, which was in part, fueled by selling hijab online in Malaysia. Hijabs normalised e-commerce in Malaysia for the population, which eventually helped push the popularity of other platforms. Today, Lazada is an undeniable powerhouse of e-commerce in Malaysia, and this study by iPrice confirms it. 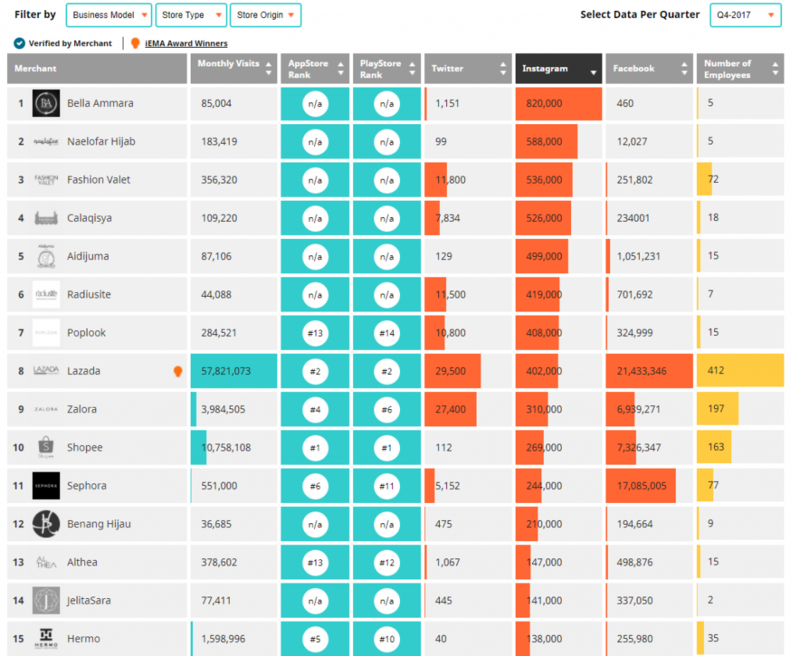 As you expected, the giants of e-commerce with the highest monthly visitors are catch-all platforms like Lazada, Shopee and 11street that sell basically anything and everything. These are usually the first sources that come to mind when we have something we want to buy online. 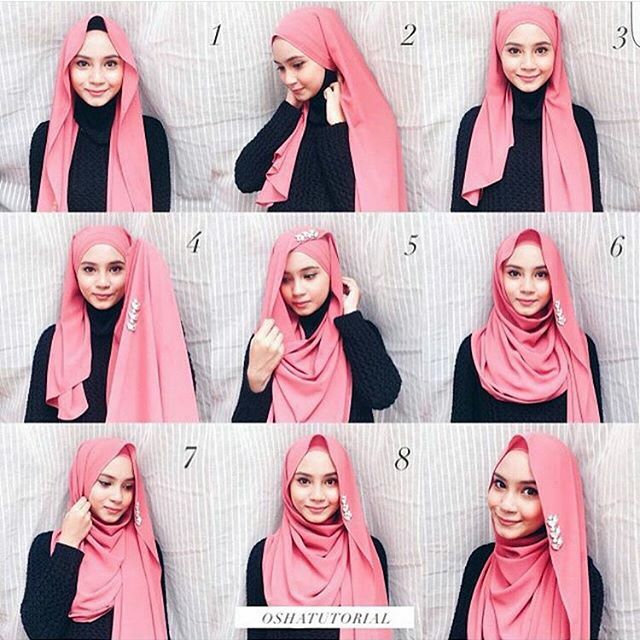 But if you turn to look at those with huge Instagram followings, it’s the tudung brands or modestwear. The top 7 platforms with most Insta-followers are brands like Bella Amara, Naelofar Hijab, Fashion Valet, Calaqisha, Aidijuma, Radiusite, and lastly Poplook. Instashops, sorted by Instagram followers. Fashion Valet stands out as the only store that doesn’t focus on modestwear, but it definitely has ties to it, with founder Vivy Yusof’s dUCK scarves and status as a hijabista. This is all no surprise, as in 2015, Muslim women spent US$58 billion on modest wear, according to the State of the Global Islamic Economy Report. It’s hard to remember today, but online shopping used to be the home turf of only tech geeks who want to trade or buy computer parts. It was only every once in a while when people would venture the mysterious online waters when they wanted something that they couldn’t get in physical stores. This all changed with the rise of blogshops, which from 2005 to 2010, seemingly brought on the rapid growth of e-commerce in Malaysia. From 2001 to 2005, the e-commerce growth rates went up to 123%, and stabilised between 2006 to 2010. And the hijab sellers began rode this blogshop wave in Malaysia, and began making waves of their own. The launch of the Naelofar online store was a catalyst for what is now a mega tudung e-shop industry here today. At the time, Muslim women would often copy the styles worn by celebrities, to the point where you could track hijab trends by celebrity names. They include the tudung Wardina, tudung Waheeda, Yuna’s turbans, and finally, tudung Naelofar. 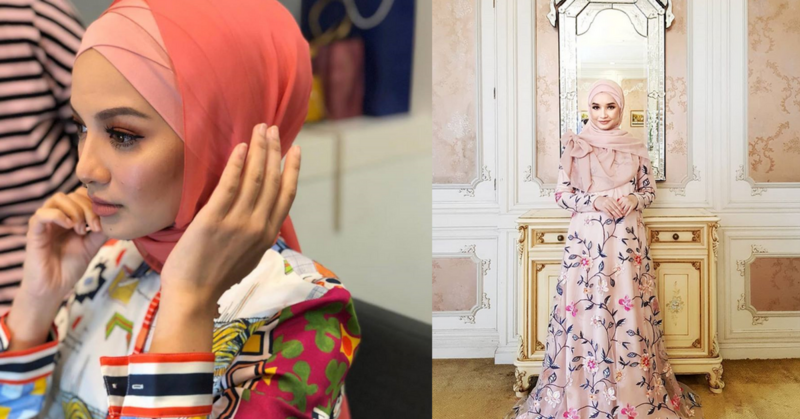 Neelofa took the existing interest in the hijab fashions of celebrities and brought it online back in the days of 2014. She may not have intended it, but the move online certainly helped open up the market for those at the time who might otherwise never purchase something online. It all came to head in 2015 when sales for her scarves reached 50 million ringgit, which coincided with the rising availability of the internet and the growing popularity of smartphones. That there is now a larger pool of buyers, but it also meant that now anyone could be a hijab seller. Then Instagram stores began to rise. For those looking to sell simple hijabs, they could get a piece of cloth cut and hemmed relatively easily, and for relatively cheap. The stocks wouldn’t expire either. And so hijabs became a way for Muslim women in Malaysia to express their taste in fashion. Online shops opened up the opportunity for these women to buy hijabs for much cheaper than usual, and the growing popularity of hijab tutorials meant that they could style their hijabs in a myriad of different ways too. As a result, the fashion turnover for hijabs is quick as well. This all came to head in the controversy surrounding the Fareeda hijab, an online shop that used the “limited stock” tactic for specific designs to drive interest. They gained a following online, but the limited number of hijabs on sale drove fans to camp out at locations and swarm the counters when it was opened. Even the people behind Fareeda hijab pointed out that a few hijab blogshops were already around when they started in 2013, but the market grew saturated in 2015. In scenes familiar to Apple fans, people had been lining up for Fareeda hijabs throughout the night since 2015, and eventually led to controversy in 2016. Naelofar’s presence online proved that Malaysian women will come online for the opportunity to buy a hijab that they might not otherwise get in a normal store, and opened the floodgates for other enterprising sellers to sell their own offering for either cheaper, or for a different demographic. If hijab blogshops brought the rise of big modestwear fashion brands, then Instagram was the home of many “cheap fashion” hijab sellers that sold bootleg designs or imitations at a much cheaper price. Interested buyers see something they like on Instagram, and leave the infamous “PM” comment or chat with their sellers on WhatsApp. What happened is that this method “social selling” became the norm online, and thus spawned its own culture. It also helped that approximately 2015 was around the time that Malaysian joined the rise of Instagram. 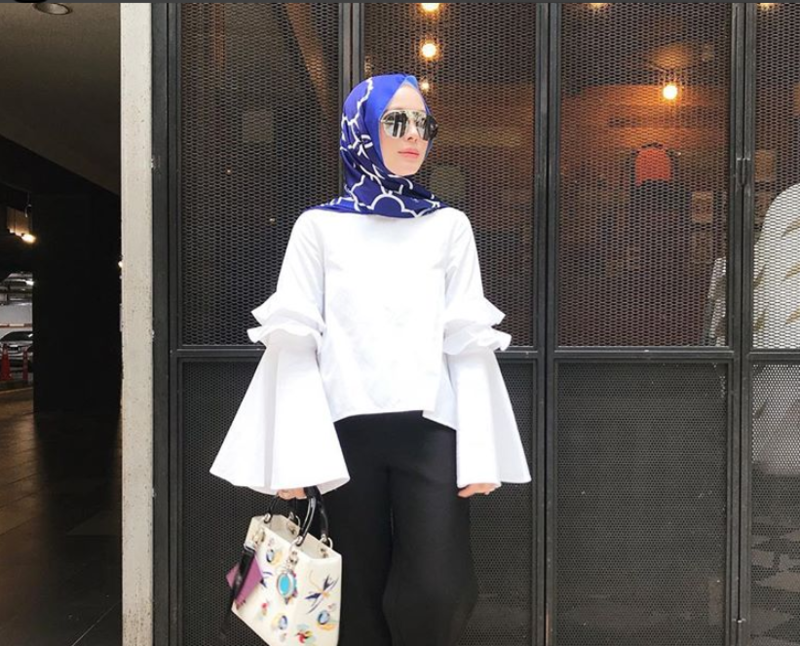 Fashion influencers were also already a thing in 2015, and among these ranks were the hijabi influencers as well, such as Vivy Yusof. Even if you just wanted to sell off your preloved clothes, or selling homemade cakes online, it became the norm to post it on your social media pages, then deal with customers via WhatsApp. Of course websites like Carousell and Mudah were already a presence in Malaysia and something similar, but the proliferation of hijabs helped to normalise this act of buying online for many Malaysians. It was when our regulators began cracking down on the prominent scammers and backout buyers that the people shifted towards buying on platforms and though payment gateways, but these instashops are still a presence in Malaysia. To a certain extent though, the giant has fallen. Today, only 30% of e-commerce is still run on social media sites, while most of it, even the hijab selling, is done over e-shops and e-commerce platforms now. 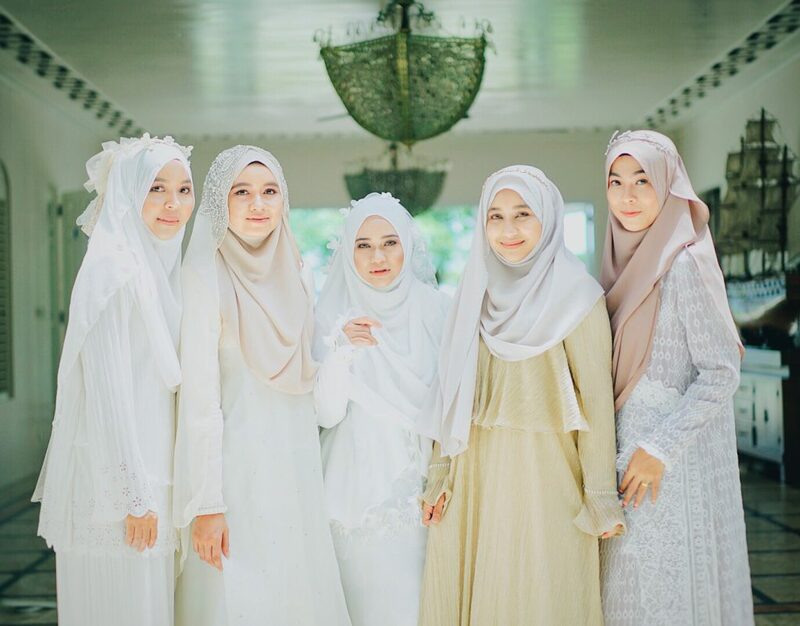 But to this day, the online shops with the biggest number of Instagram followers are the hijab brands, which speaks of their appeal to the fashion sensibilities of the Muslim majority population in Malaysia. If you’d like to find out more about the growth of Muslimah fashion worldwide, you can read about it here.